The Josiah W. and Bessie H. Kline Foundation aided GSHPA with renovations to the main headquarters building in Harrisburg through a generous $50,000 grant. This building serves as the main hub for administration, volunteers, community members and Girl Scouts in our 30 county footprint. The girls who worked on this project used this location to gather, organize and load the boxes of cookies on the awaiting Food Bank truck. 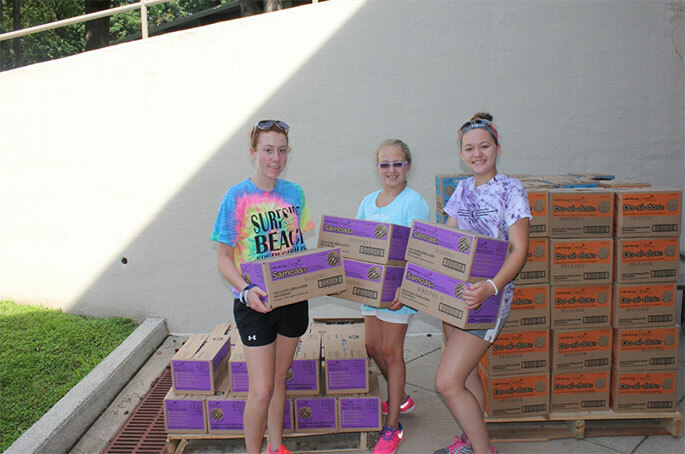 Girl Scouts in the Heart of Pennsylvania builds courage, confidence and character among more than 17,000 girls who make the world a better place throughout central and northeastern Pennsylvania. Interested girls in grades K-12 are invited to join at any point throughout the year.